"It's like bringing a knife to a gun fight," said ORACLE TEAM USA grinder Matt Mitchell. Those were the comments of Jimmy Spithill, the skipper of ORACLE TEAM USA and the defenders of the America's Cup. The question was whether kite board champion Kai Lenny can outrace the new 72-foot catamaran of ORACLE TEAM USA. Pink slips were on the line when Lenny put his $1,500 board up against the $15 million boat recently on San Francisco Bay. On the same course that will host the 34th America's Cup in September, the two sides engaged in a bridge-to-bridge battle between the Golden Gate and Bay Bridge. Kai Lenny got a significant jump out of the starting gate, launching his kite and harnessing the power of the winds to propel himself at 20 knots across the water (23 mph). This caught ORACLE TEAM USA off guard at first, before they found their rhythm and cranked it up to 30 knots (34 mph) to blow by the kite board. Exposure of the US coastline and coastal population to sea-level rise in 2100 (A2 scenario) and storms. Warmer colours indicate regions with more exposure to coastal hazards (index >3.36). Real estate is all about location, and coastal reefs and wetlands now look like especially attractive neighbors. Americans looking to buy seaside property would do well to study the first ever nationwide map showing how and where natural habitats like reefs and vegetation best protect coastal residents from rising seas and catastrophic storms like last year's Hurricane Sandy. Shoreline engineering like seawalls can be effective but also expensive, environmentally undesirable, and a detriment to tourism and seaside recreation. But conserving and restoring nature's own coastal habitats can also help save lives. Now Stanford University's Katie Arkema and colleagues have provided a national map of where natural habitats do most reduce risk to people and property—and where they may need help. Coastal habitats including marshes, dunes, seagrass beds, mangrove and other coastal forests, kelp forests, oyster beds, and coral reefs help keep waves and storm surge from flooding and eroding coastal property. Coral reefs, for example, can reduce the energy of waves that hit shore by 85 percent. Some two-thirds of the U.S. coast is currently protected by one or more of these helpful habitats, according to the study. Coral reefs seen during spring low tides at Sombrero Key Lighthouse. Arkema and colleagues mapped coastal habitats to create a "hazard index" that evaluated every square kilometer of the U.S. coastline under five different scenarios of sea-level rise. The team then added the coast's human geography, illustrating where people and property stood in harm's way with demographic data from the U.S. Census Bureau and property values developed, in part, from a relationship with the online real-estate service Zillow. "It's not just about whether habitats are capable of providing coastal protection," said Arkema, a marine ecologist with Stanford Woods Institute for the Environment. "It's also where they matter for people and for property," she said. "We really wanted to figure out where habitats are reducing exposure and also where those locations overlap with coastal property values and human populations that need to be protected." When the team modeled U.S. coastlines with these natural protections removed the results were dire, suggesting that the loss of such habitats would double the stretches of coastline now highly exposed to floods and storms and expose an additional 1.4 million Americans to such threats. "That really surprised me," Arkema said. "It does make sense. We know for example that there are a lot of people in Florida, and that Florida gets hit with a lot of hurricanes, but when I saw that the totals actually doubled I was really surprised." Peter Kareiva, chief scientist for The Nature Conservancy, said the study was the first of its type to be really proactive. That's good science but it's after the fact. "This study takes us in a direction of saying let's be proactive," he continued. "Let's not wait for a storm to happen. Where does natural habitat offer some natural risk reduction before the storm happens?" Natural protection against rising seas, or development site in waiting? Which states need mother nature the most? The study shows that some areas of the U.S. receive much more natural protection than others. Under all scenarios of sea-level rise and storms the East Coast and Gulf Coasts proved generally more vulnerable than the West Coast. "The East Coast and Gulf Coast, in general, are lower-lying and sea level rise will impact those coasts more," Arkema said. "Many of the shorelines aren't as hard, there are more muddy or sandy areas. Of course California has many sandy beaches but much of the West Coast tends to be higher elevation, harder shoreline—think of places like Big Sur for example." The results also break down state by state. Coastal habitats currently protect the most coastline in Florida, North Carolina, and Alaska. But when the population demographics are taken into account, they protect the most people and property in New York, California, and Florida. Risks and consequences vary dramatically right down to the local level. In Jefferson County, Florida, the value of property protected by coastal habitat was $0 because there is no residential development within 0.6 mile (a kilometer) of the shoreline. But in Suffolk and Kings Counties, New York, the figure tops $20 billion. That surprised Arkema, and not because New York property values were so high. "Many people would know those areas are highly developed," she explained, "but it's surprising that they are still surrounded by ecosystems, wetlands, and forests that are relatively intact." And dollars and cents don't always tell the whole story, Arkema cautioned. In some instances poor and socially vulnerable people stand to bear the brunt of the disaster, representing a high human cost even with lower economic consequences. The model study covered the entire U.S. coast, and so by necessity used data on a national scale that sometimes lacked detailed local information on exact habitat locations and conditions. "Where The Nature Conservancy is involved is the next step," said Kareiva. "We can take this study and go to Florida or the Gulf of Mexico, North Carolina, and New York and say these are the areas where natural habitat can really reduce risk," he said. "Now we have to actually map the habitat that's there and be more precise to know exactly where it is." Putting this into practice, The Nature Conservancy is using this same model on a localized scale in the Gulf of Mexico, combined with field experiments, to evaluate where to restore oyster reefs, how to design them, and what sizes to make them, Kareiva explained. "FEMA spends half a billion dollars a year on risk mitigation for floods, in response to local communities. We're working with local communities to say hey all this money doesn't need to go into concrete," he added. "Certainly we're always going to need levees but some of this money could be going into habitat protection and that turns out to also be good for fisheries, recreation, and lots of other areas." Communities around the world face similar challenges, and enjoy similar opportunities for natural protection. The Nature Conservancy, the German Alliance for Development Works, and the United Nations University Institute for Environment and Human Security (UNU-EHS) led the World Risk Report, which focused on the role of the environment in reducing risk of natural disasters, and how risks rise with environmental degradation. With so much already at stake, and coastal development continuing apace, the insurance industry is also taking note of the role played by natural habitats. A 2011 insurance industry report, backed by 16 Caribbean governments, recommended that restoring reefs and mangroves are among the most cost effective ways to protect people and property from natural disasters in the region. A study sponsored by America's Energy Coast, America's Wetlands Foundation, and power producers Entergy Corporation looks at similar issues along the U.S. Gulf Coast. Swiss Re—a reinsurer, or backup insurer for insurance companies—contributed to both of these reports. "What we've tried to do with our Economics of Climate Adaptation work is analyze the value of the natural infrastructure from the point of view of how it could reduce the expected losses from a major weather event," said Mark Way, Head of Sustainability Americas at Swiss Re. "On the Gulf Coast, for example, we looked at what it would cost to do wetlands restoration and what the possible benefits would be," he said. But Way said that this type of financial analysis remains difficult at the present time. "It's hard to have a comprehensive evaluation of the true benefits of natural capital in the sense of the auxiliary benefits you get," he said. "You can create buffers against the weather, but at the same time you benefit leisure activities, fisheries, the local environment. We haven't really quantified those yet." Way's colleague at Swiss Re, Andy Castaldi, added that while the benefits of natural-habitat protection are real to most of the insurance industry, analysis of them is not yet greatly impacting the bottom line. "To most of the market I think it's not yet tangible because no one is helping them to understand and assess habitat improvements," said Castaldi, who is head of Swiss Re's Catastrophe Perils, Americas division. "So right now, while I think most every insurance company would support protecting a barrier island or mangrove forest, at this time there is no way for them to factor this benefit into their underwriting judgment. No one has quantified it for them on the entire coastline basis." But if the total costs and benefits involved are hard to quantify, protection of the key coastal habitat areas in the study will not only keep people safe but ultimately save money as well, study leader Katie Arkema stressed. "It's going to cost us a lot more to try to engineer solutions like seawalls, or to try to restore habitats once we've lost them," she said. "It doesn't take as much investment to conserve them while we've got them. So our research suggests, let's retain them—especially where we've got a lot of people. We can be creative, and mix these natural protections with hard engineering as well, but we certainly don't want to lose the protection we're receiving from the ecosystems we have intact." Nautical cartographer Jennifer Ryan (Manager Chart Production at Land Information New Zealand) shows how nautical charts are made. Find out how Lyttelton Port kept operating after the Canterbury earthquakes. 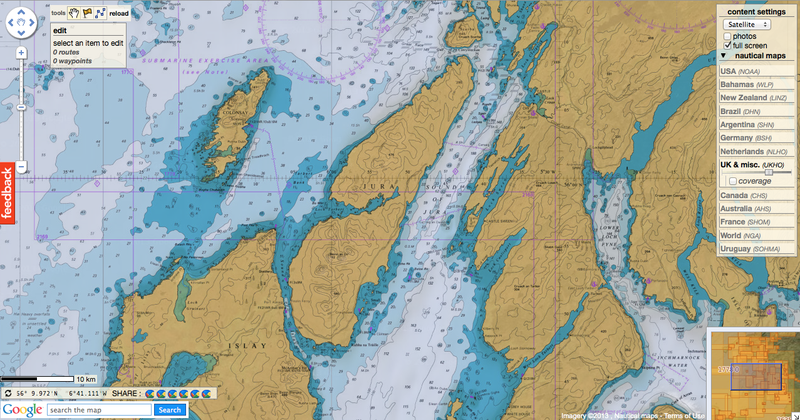 Learn about the navigational aids that help mariners navigate and what a nautical chart shows. This is a satellite image of the Great Barrier Reef, Australia colllected on April 22, 2013. Australia admitted conditions at the Great Barrier Reef are "poor" as it battles UNESCO threats to downgrade its heritage status over concerns about pollution and development. Environment Minister Mark Butler released a report card showing that the reef's health had slumped since 2009 due to cyclones and floods, despite progress on reducing agricultural runoff. "Extreme weather events significantly impacted the overall condition of the marine environment which declined from moderate to poor overall,' the report said. It said key reef ecosystems were showing "declining trends in condition due to continuing poor water quality, cumulative impacts of climate change and increasing frequency and intensity of extreme events". Despite reductions in nitrogen (seven percent), pesticides (15 percent), sediment (six percent) and pollutants key to outbreaks of devastating crown-of-thorns starfish (13 percent), the report said the reef was in trouble. Major flooding in 2010-2011 followed by powerful cyclone Yasi had badly damaged the world's largest coral reef, degrading water quality and depleting overall cover by 15 percent. "Full recovery will take decades," the report said. Conservationists said the report was alarming and showed the need for far greater action from the government, with the current plan and targets "unlikely to save our reef". "The outlook for the reef is not good but the situation isn't hopeless, solutions do exist," said WWF's Nick Heath. "We just need more investment, more targeted action in the most dangerous pollution hotspots." While reductions had been achieved, Heath said they were far short of 2009 targets, particularly pollutants key to starfish outbreaks, which fell by 13 percent instead of 50 percent -- a goal now pushed back to 2018. "We are likely to need a nitrogen pollution reduction target of up to 80 percent if we are to arrest crown-of-thorns outbreaks," he said. A major longitudinal study of the reef's health, published last year, revealed that coral cover had more than halved due to storms, predatory starfish outbreaks and bleaching linked to climate change over the past 27 years. Intense tropical cyclones were responsible for much of the damage, accounting for 48 percent, with the coral-feeding starfish linked to 42 percent, according to the study. UNESCO has threatened to downgrade the reef's world heritage status to declare it at-risk in 2014 without significant action on rampant coastal and resources development seen as a threat to its survival. Scientists who advised the government on the reef's health for the report card said declining water quality associated with agricultural and other runoff was a "major cause of the current poor state". 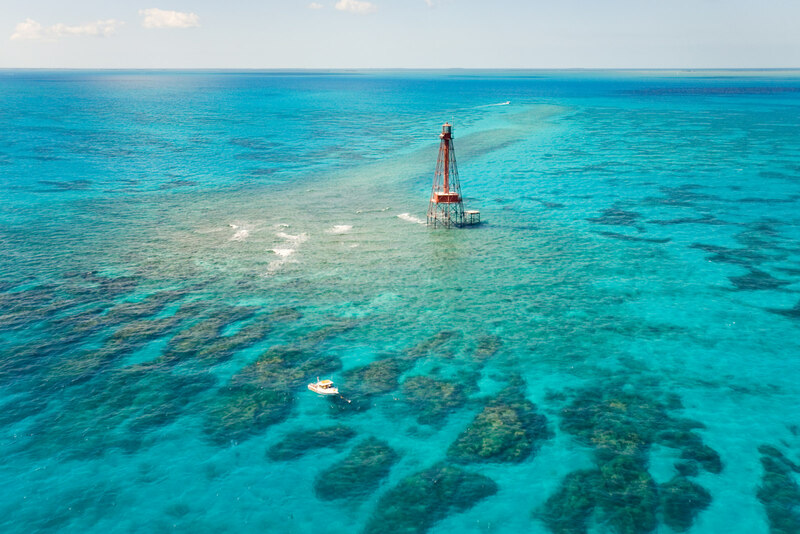 The team, led by James Cook University's Jon Brodie, said intense floods and cyclones had also "severely impacted marine water quality and Great Barrier Reef ecosystems". "Climate change is predicted to increase the intensity of extreme weather events," it said. Butler unveiled lofty targets for improving water quality over the next five years, aiming for at least a 50 percent reduction on 2009 levels of nitrogen pollutants linked to crown-of-thorns starfish outbreaks, 20 percent for sediment runoff and 60 percent for pesticides. "In spite of solid improvement, data tells us that poor water quality is continuing to have a detrimental effect on reef health," Butler said. "To secure the resilience of the Great Barrier Reef it is critical that we build on the momentum of the previous reef plan with a focus on improving water quality and land management practices through ambitious but achievable targets. has sunk without trace into the Atlantic Ocean... at least according to Google. but two weeks later on Google have yet to rectify the glitch. but it was still visible in the satellite view. The GeoGarage's sources in Jura assure us that the island is still standing. Isle of Jura is located off the west coast of the Scottish Kintyre Peninsula. Google has had to apologise for accidentally wiping a small Scottish island from its Maps service after the lastest update. The Isle of Jura should be shown off the west coast of the Scottish Kintyre Peninsula yet when users search for island on Google Maps a red outline appears where the land should be. Google said it was 'so sorry' for the mistake and added its engineers are 'bevearing away' to fix the flaw. BBC News was the first site to notice that the mass of land had vanished. It is visible on Google Earth and on the Satellite view of Google Maps, yet when the page is switched to Maps view, the island disappears. Jura is part of Scotland's Inner Hebrides archipelago and is situated in between Islay and the Kintyre Peninsula off the west coast of the UK country. It only has around 200 residents that live in an area of approximately 140 square miles. 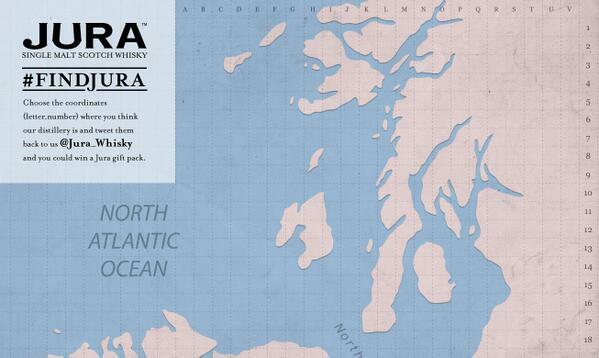 The island is renowned for its whisky and its deer, which outnumber the people 25 to one. It is only accessible by a small ferry that stops running at 18.30, small boats from Colonsay to Loch Tarbert or by water taxi. Jura's single malt scotch whisky distillery, which once employed a quarter of the island's male population, somehow spotted a marketing opportunity in the peculiar situation, promising a free bottle of whisky to the Twitter user who could put an 'X' closest to the distillery's location. 'We are sorry about that. We're aware of the problem, and our engineers are beavering away to fix it. "It's like a road cutting, when you drive through you can see the layers of the rock, but it's like a giant version of that,"
"We're very keen to go and have a look at it and study it."